For years, the lead has been thought to be the weakest element of pacemaker design, causing expensive complications and unstable performance in some cases and prompting a number of significant recalls. However, these weaknesses might be avoided entirely in the newest design of these devices, pioneered by St. Jude Medical's Nanostim Leadless Pacemaker. Medtronic also recently announced their own leadless pacemaker device, the Micra. Both products can also be implanted much less invasively than traditional designs, with the use of a catheter rather than a surgical incision. This feature, combined with the absence of leads, results in enhanced patient outcomes and reduced recovery times. "With a leadless pacemaker design, lead and pocket complications can be eliminated, potentially resulting in lower complication rates," Reinoud E. Knops, MD, of the Academic Medical Center wrote in the April 21, 2015, issue of the Journal of the American College of Cardiology. Although both St. Jude Medical and Medtronic are currently both in the midst of clinical trials for domestic approval, demand for the technology is already overwhelming. 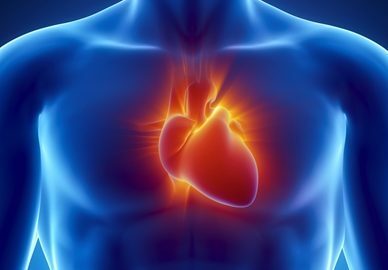 A recent survey performed by RBC Capital Markets of 50 electrophysiologists showed that 80 percent maintain a strong interest in using leadless pacemaker devices. "Five years from now, nearly 70 percent of respondents believe leadless pacemakers will represent more than 10 percent of new pacemaker implants. This suggests market adoption could be rapid once a device is introduced into the market," Glenn Novarro, a medtech analyst with RBC Capital Markets, explained in the report. Device manufacturers and trial sponsors looking to capitalize on this emerging trend need to carefully consider the clinical trial design and imaging modalities. As with any novel technology, time to market is crucial, and managing trial scope takes on renewed importance. Medical Metrics Inc.'s partnership with the Methodist DeBakey Heart & Vascular Center (MDHVC) provides sponsors with access to experts and thought-leaders in cardiovascular imaging, as well as the confidence that comes from partnering with an imaging core lab with a lengthy history of developing advanced cardiac surgical techniques and therapies.